Last year at CES, Alcatel OneTouch Watch made big(ish) waves by announcing its smartwatch debut but, one year on, the company has decided to keep things simple. 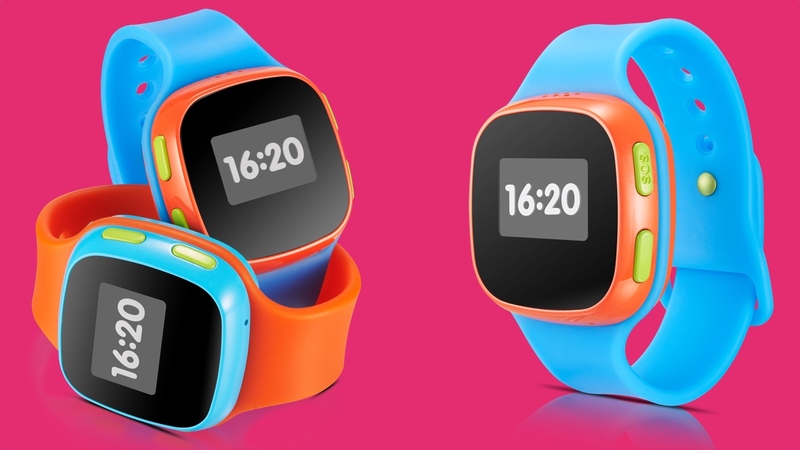 The kids's tracker – the CareTime children's watch is Alcatel's sole wearable announcement for CES 2016. Child tracking wearables are big business at the moment. LG has a couple of models on sale and the likes of the Filip 2 and the SAFE Kids Paxie Band offer parents digital monitoring and fitness tracking. Last week, the feature-rich DokiWatch was also announced. However, the Alcatel CareTime bucks the trend of packing in fitness and multi-connectivity features by offering up a basic 2G and GPS package. The CareTime is capable of storing 10 contacts for text messaging and 5 contacts for making outgoing calls. The GPS features extend to location monitoring on a companion smartphone app and alarms when a kid leaves a pre-set safe zone. It's a super simple setup designed for 5 to 9 year-olds. The CareTime watch comes in two colour combos and has a battery life of around four days. It goes on sale in April and prices are still to be confirmed.